The Livelab container featured a different installation work every day. A culinary carnival to tantalise all the senses, featuring the Fortunes of Floss and How to mend a broken heart. Feast upon your future when you pluck your fortune from a cloud of candy floss. Cure ailments of the heart with our chocolate heart mender. This interactive installation invites the audience to become a part of the work, feasting on bizarre flavour combinations. Caitlin Le Harivel is a performance designer, chef, and creator of unique dining experiences. An examination of deterioration and loss with the methodic erosion of domestic furniture into nothing but a pile of wood chips and shavings. A tableau of blank faces, motionless mannequins of living flesh. 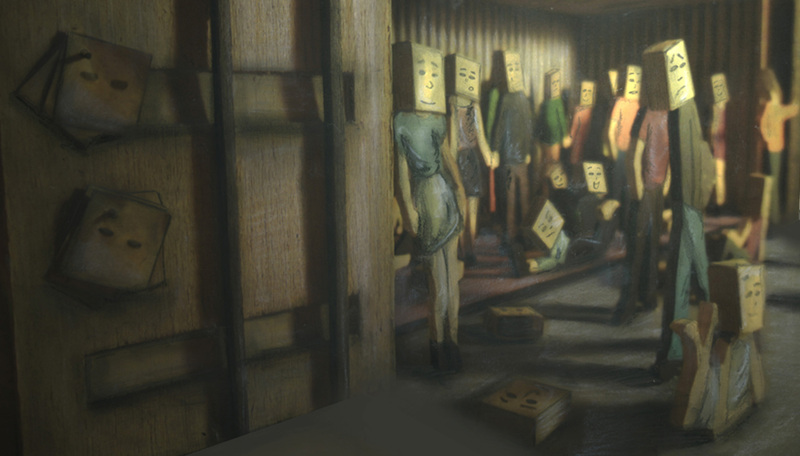 The work features a mute crowd of depersonalised figures. Feel free to join them.